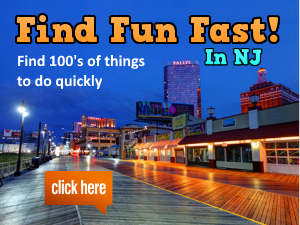 Home / Explore NJ / Cool Day Trips / Experience Delaware River Tubing & The Famous River Hot Dog Man of NJ! 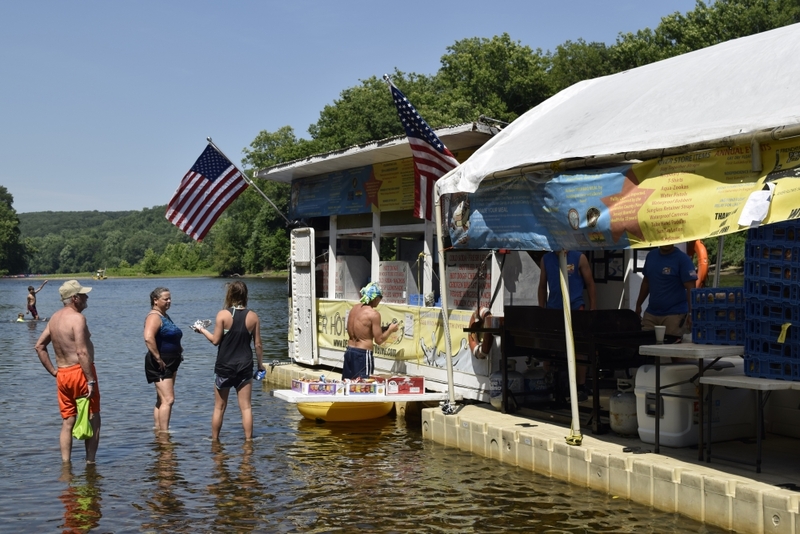 You may have heard about Delaware River Tubing and NJ’s Famous River Hot Dog Man. Our team here at FunNewJersey.com had the pleasure of taking a day trip to Milford to test the waters. Luckily, we were able to document our entire trip and bring the awesome experience to you! The video below offers a glimpse into the experience of tubing down the Delaware. It’s up to you whether you want to ride the river in a tube, canoe, kayak, or raft. Delaware River Tubing offers options for all of these. The experience begins with picking up all of the supplies that you’ll need when floating down a river. This includes your tube, your life vest, and any other optional add-ons that you and your family may want. At no additional cost, Delaware River Tubing offers stay together straps so that you can stay connected to your group while floating along and tube hand paddles to make paddling easier. They even have a small store where you can purchase additional accessories, such as water shoes, water-proof bags for your belongings, and many more souvenirs to remember your trip to the river. Choose between a single tube, double tube, or triple tube, and get in line for the bus because the fun is about to begin! Friendly employees will load your tube up onto a school bus and ask you to get on board. The bus driver will give you and your group some information about the river and you will be dropped off at the starting point. 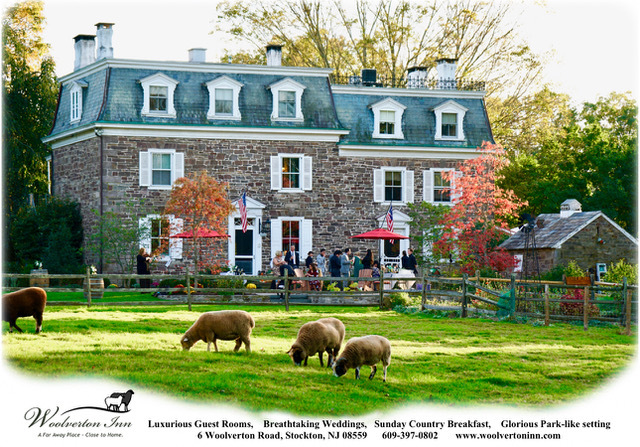 From here, you’re on your own with your group for a day full of relaxation AND excitement while floating down the historic river that separates New Jersey and Pennsylvania. The river is usually about 80 degrees and varies between 2-4 feet deep, making it perfect for swimming or walking should you decide to hop out of your tube and cool off. The ride is 5-6 miles long and usually takes 3-4 hours to complete. The water current is very gentle, and you can expect the first half of the trip to be nearly still. Halfway through your ride down the river is the Famous River Hotdog Man! 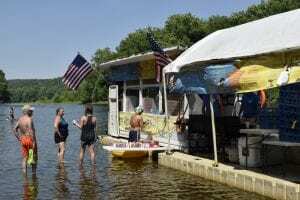 The hot dog stand, literally floating in the middle of the river, is just off of Adventure Island, an exclusive private island on the Delaware River. And trust us: by the time you get to the hot dog stand, you WILL be hungry! The menu is pretty extensive, considering it’s a hot dog stand in the middle of a river, and the best part is that your meal is FREE! Choose between 2 hot dogs, a burger, a chicken sandwich (one of our favorites! ), and a veggie burger. 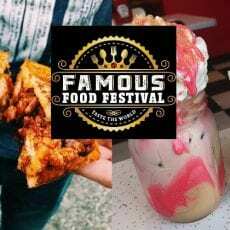 They even have a whole selection of chips, candy bars, and drinks to choose from as the perfect compliment to your BBQ meal. Adventure Island has some picnic tables in the water, as well as lots of space to adventure, sunbathe, and swim. Grab your free meal and get back on the river, or hang out with your group for some time to make your day last even longer. It’s up to you! Once you get back on your tubes to continue the ride down the river, you’ll come across some pretty exciting rapids. Don’t worry, because they are very gentle and labeled as Class I, or beginner, rapids. There are 7 sets of these rapids and believe us when we tell you they make the ride even more fun than it already is! Make sure that you check out all of the gorgeous scenery when you’re on this part of the ride. We had so much fun pointing out the gorgeous mountains, trees, and houses on both sides of the river. 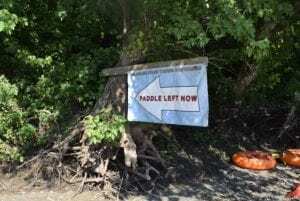 As your journey nears the end, you’ll see signs that say “Paddle Now!”. 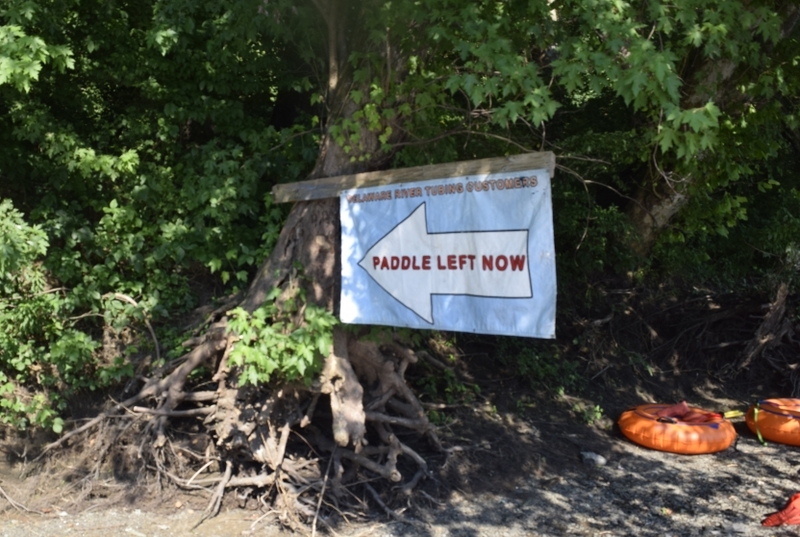 This is when you and your group will have to paddle left to ensure you get off the river at the right spot. It’s easy to spot, but you don’t want to miss it. After you get off the river at the designated spot, a bus will come to pick you and all your gear up to take you back to your car. 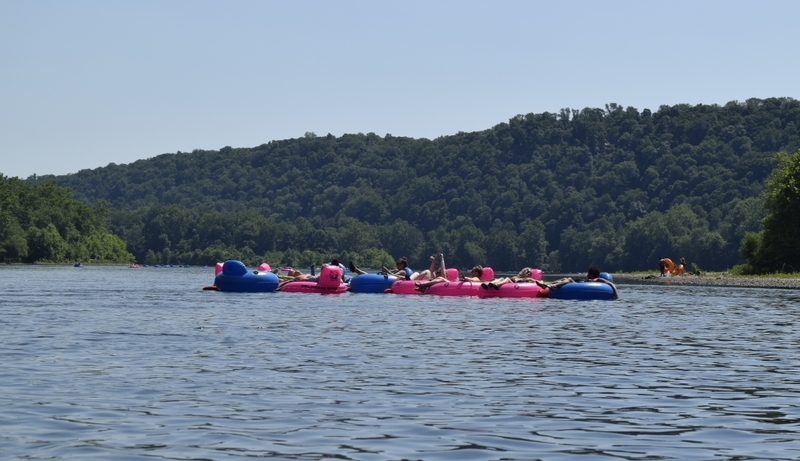 If you’ve never been tubing down the Delaware River, you just HAVE to get a group together to go! You’ll have so much fun spending 3-4 hours together on the river in the sun. 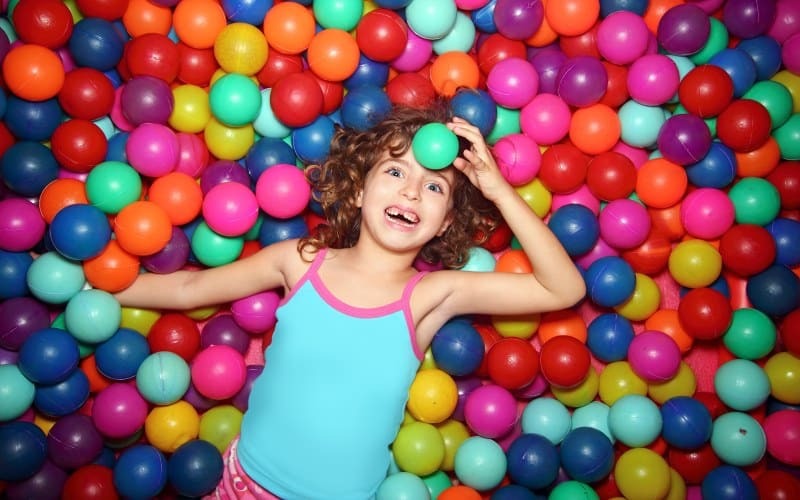 We are sure this day trip will make your summer one to remember forever. PS – Tell Greg that FunNewJersey.com sent you. He might give you some VIP treatment! Visited the “Famous River Hot Dog Man” already? Tell us about your experience in the comments below! 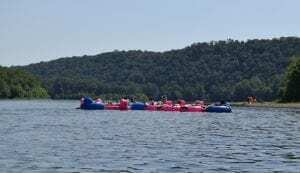 Delaware River Tubing is open between May and October. 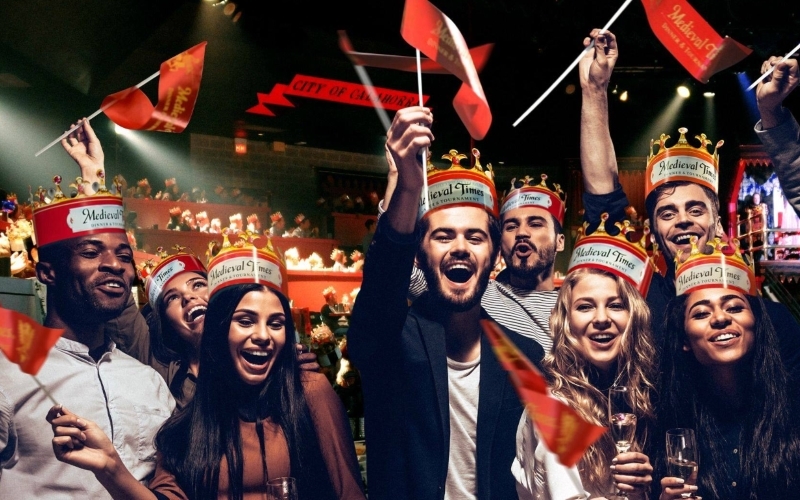 See their full schedule here. 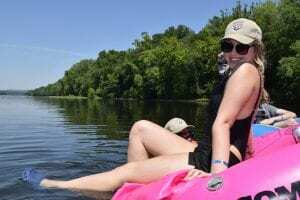 Check out the Delaware River Tubing website to start planning your trip, or find more fun things to do with kids in NJ.